Merchant processing and the software and network providers that make it all work is a complicated topic. As a school/studio owner, you simply don’t need to know all the mumbo-jumbo mechanics of merchant processing. You are busy enough teaching classes and running your business! So we simplify the basics right here, outlining the steps you’ll take to process a credit card payment from a customer. And if you want to simplify getting set up with merchant processing even more, contact us – we can help! These three pieces are not necessarily things you have to purchase or manage individually. Think of them as one virtual process that is mostly invisible to you. But let’s look at each. At the front of every transaction you or the customer directly begin the transaction when processing a payment. The job of the front-end is to capture all of the important information about a transaction so it can be sent electronically for processing. 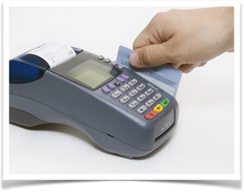 A physical retail card terminal – where you swipe or insert a chip card for payment. Just like the ones you see at the grocer or a card reader at a gas pump. These are not common for dance studios unless the studio is doing a lot of retail sales. 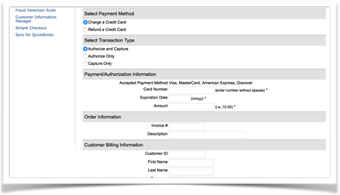 A virtual terminal – This is simple software, usually found aqs a form on a Web site, that you fill out with all of the details of a payment for a customer to process a single payment. These, too, are rarely used by a studio/school. A fully integrated software frontend like ClassJuggler, which allows for additional features such as customer account history, secure card storage, recurring batch payment processing, emailed receipts, and more. This method provides the most value, time savings, and features. Sitting in the middle of all transactions is the gateway. An example of a gateway company is Visa’s Authorize.Net. The gateway’s job is to validate every transaction you or your customers process. · Making sure the cardholder has sufficient funds to cover the payment. The gateway then tells the front-end whether or not the transaction succeeded or failed. All successful transactions are then held as “pending” by the gateway until the end of the day when all the transactions are “captured” and then batched together and sent to the back-end processor for funding. The backend bank/processor takes the batch file from the gateway and deposits the funds you have collected each day into your bank account. The backend processor calculates all of the fees associated with each transaction, and then typically deducts those fees daily, or at the end of each month, for the entire month’s processing. Finally, the merchant bank provides you with either a printed or online statement showing all activity and fees from your account each month. If you’re a ClassJuggler customer, you can bring your own merchant processor or use our merchant processing service. Going through us will greatly streamline the process, at a well-negotiated processing service rate, and syncs up with your client data within ClassJuggler. Find out more about our merchant processing tools here. This entry was posted in Cheer ClassJuggler, ClassJuggler Dance, ClassJuggler Dojo, ClassJuggler Fitness, ClassJuggler for Franchises, ClassJuggler K-12, Music ClassJuggler, Product Info, School Management Tips, Swim ClassJuggler and tagged credit card processing, merchant processing on June 19, 2017 by classjuggler.